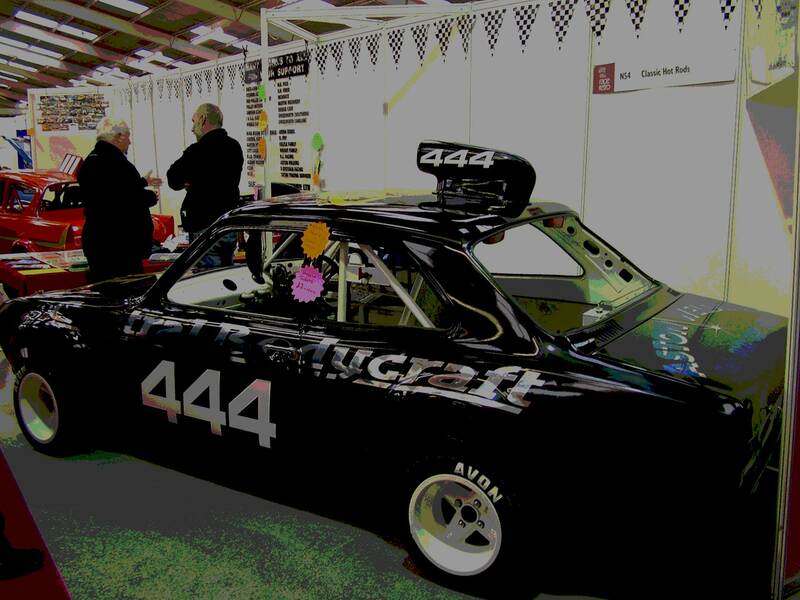 Race Retro 2007 marked the fourth running of the Historic Motorsports Show at Stoneleigh. It is now well-established on the calendar although this year the show was held a few weeks later. There is a more relaxed atmosphere than you'll find at the albeit much larger Autsport Show held at the NEC. Don't let that comment make you think this is a small event, however, as there is lots to see across four exhibition halls as well as a good mix of live action. Its also easy to see that historic motorsport is forms a very significant part of the motorsport industry. There is a relatively small oval presence at the show and this year it was the Classic Hot Rods and Grasstrackers that flew the flag. The Classic Hot Rod formula has quickly become well-established and its unique feature is that it is run to support a nominated charity. This year the support will be to Acorns Children's Hospice and a raffle, supported with prizes donated a large number of oval racing companies. The stand was attracting a lot of interest and was a credit to the organisers.